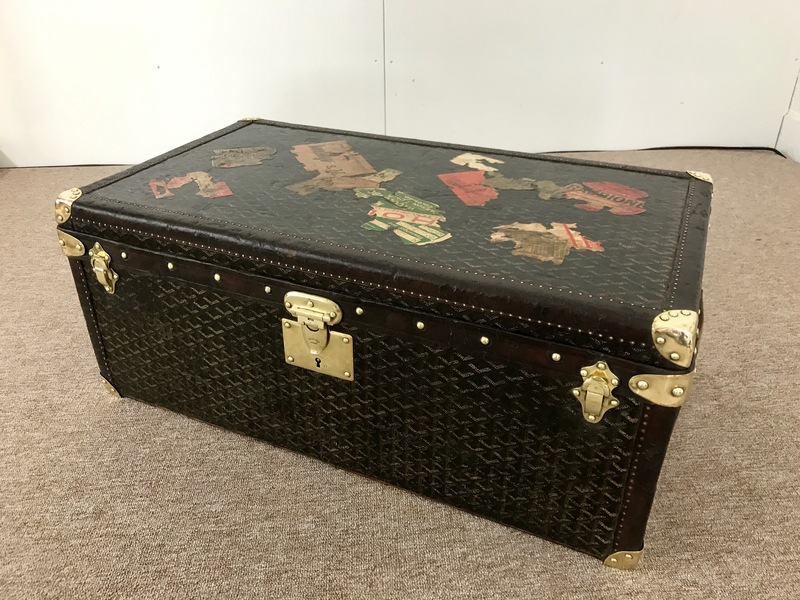 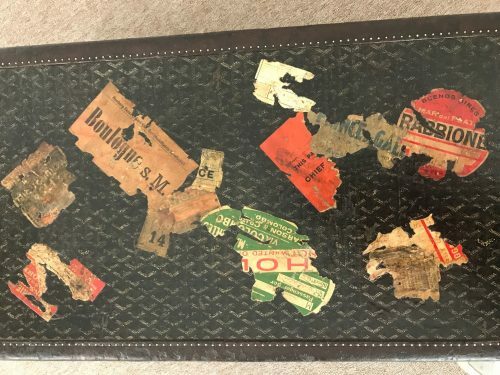 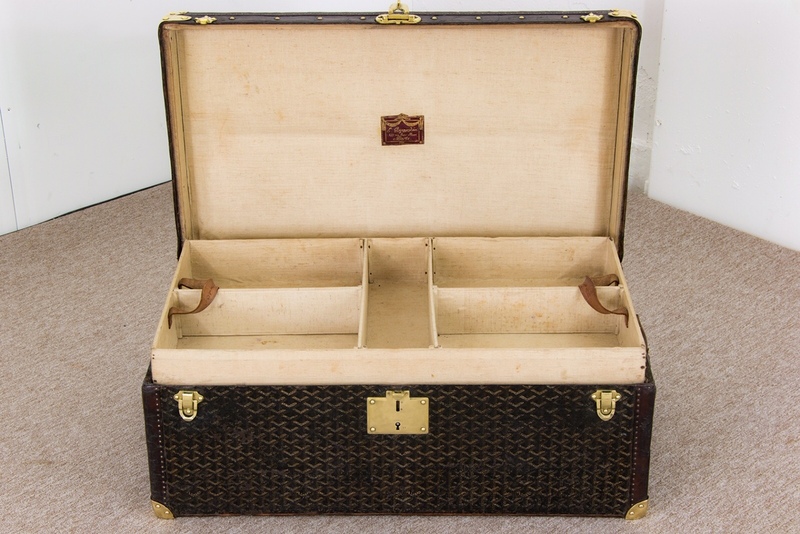 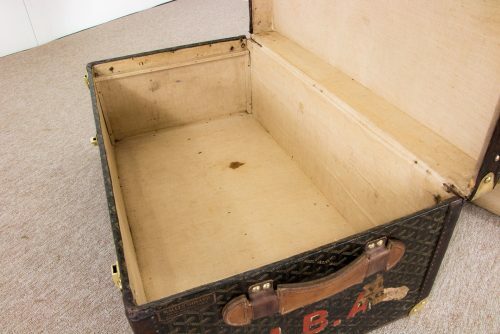 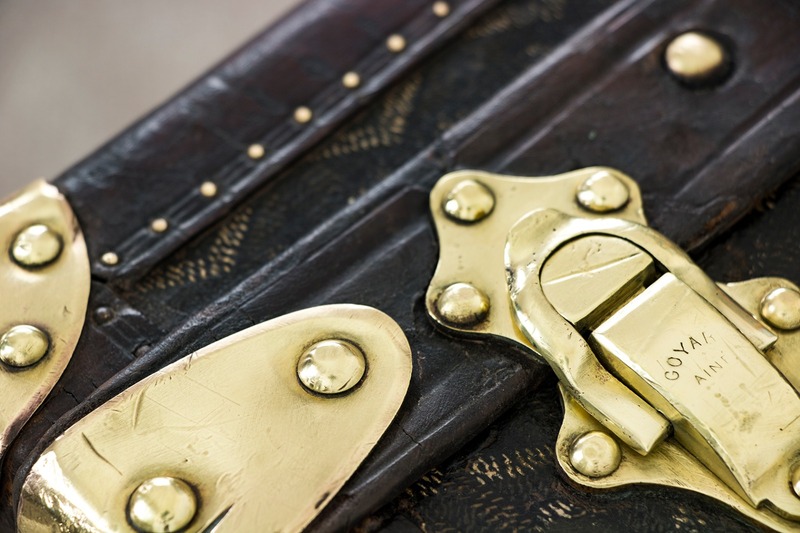 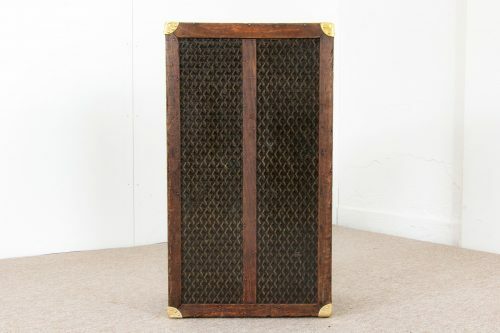 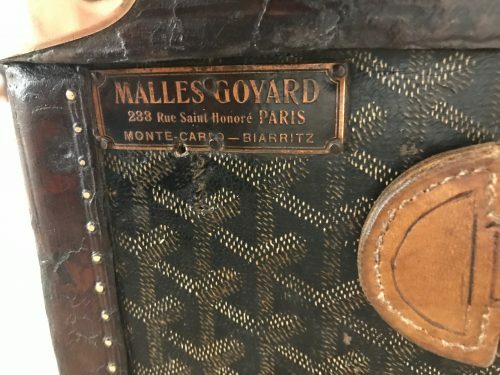 1890s Goyard cabin trunk with one removable tray. 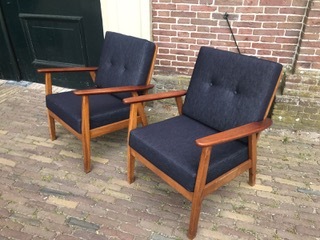 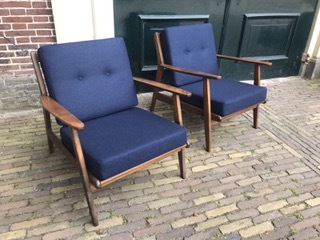 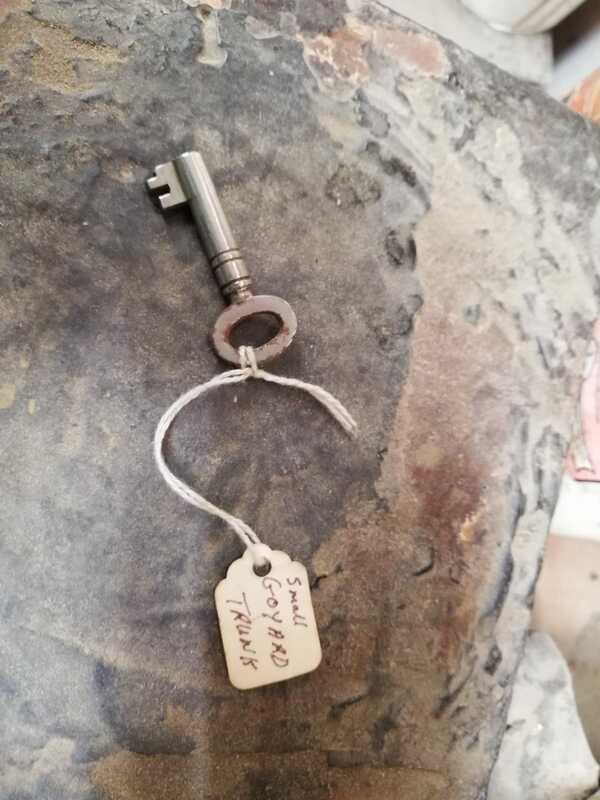 Size 77x42x31cm. 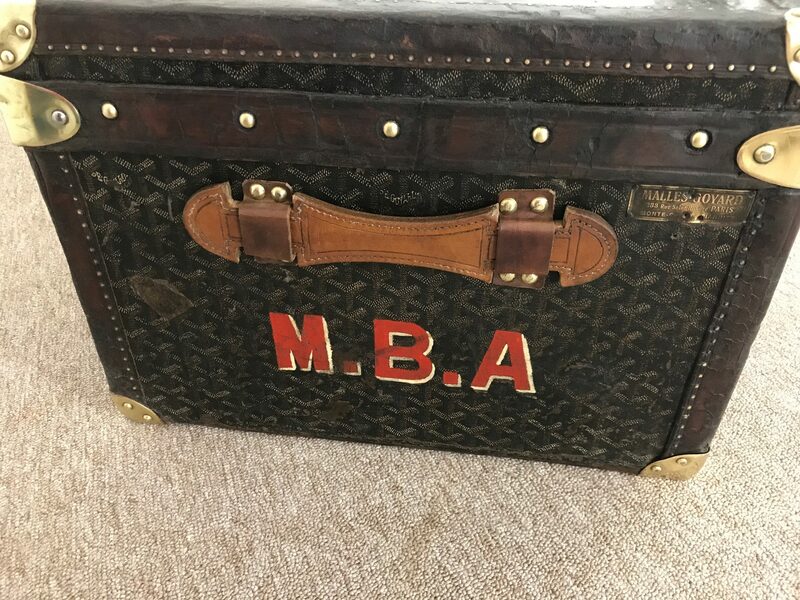 This trunk has leather handles and MBA initials on both sides. 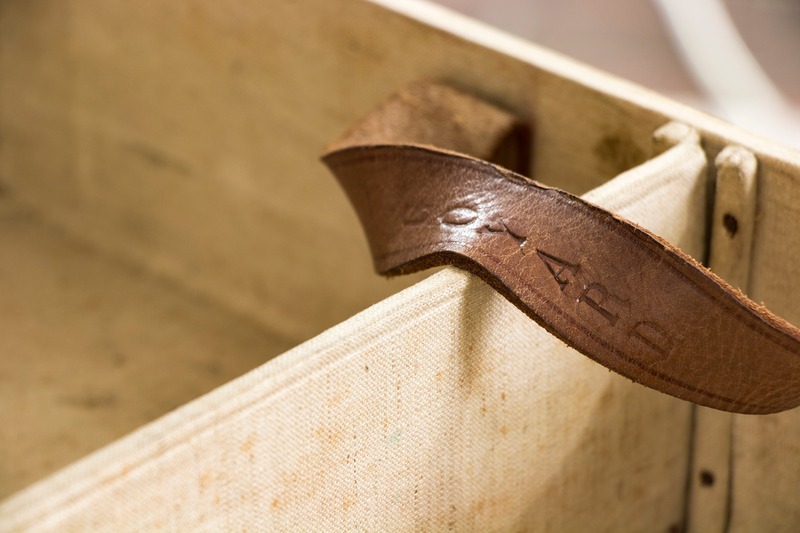 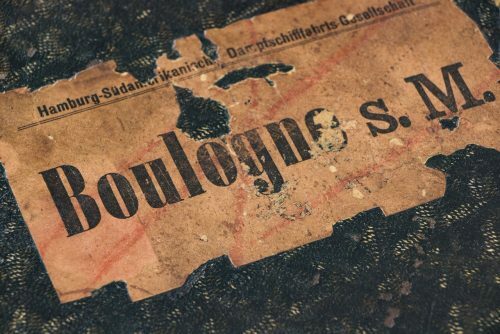 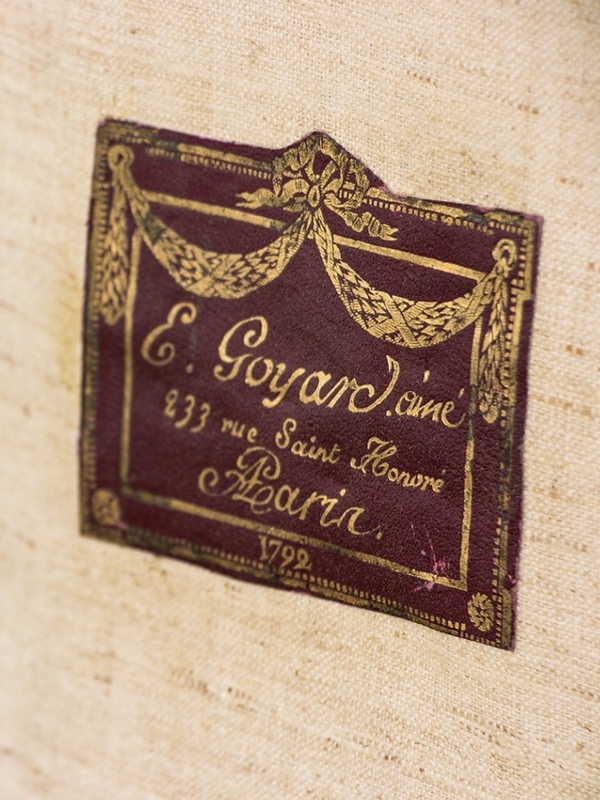 Inside the lid you find the original red leather Goyard label. 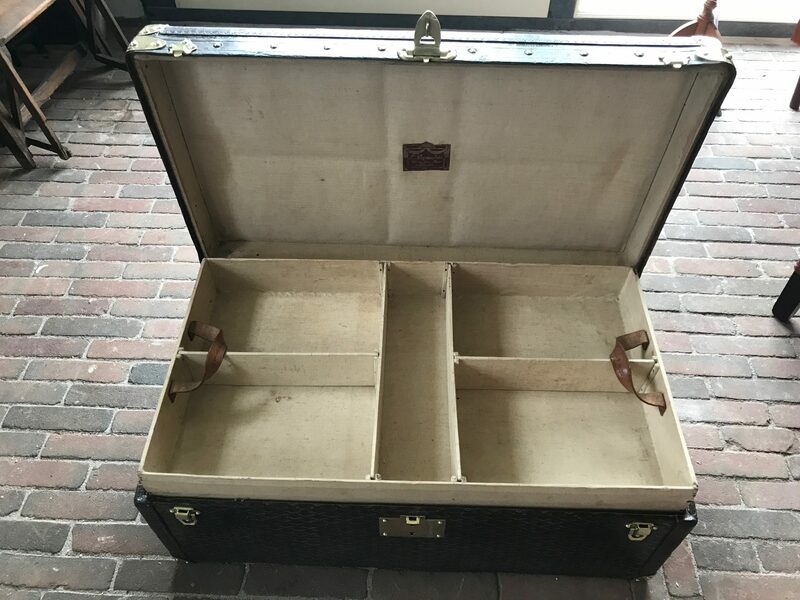 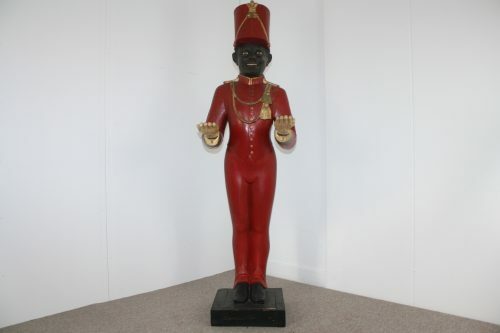 Do you have a question about this case?